The single worst contract in baseball history expires this year, when one final payment of $10 million extricates its payor from further misery involving far too many zeroes, on both the checks they cut and the production they get on the field. From the moment it started in 2012 to today, when the Philadelphia Phillies could at any moment rid themselves of its acrid taste, Ryan Howard’s wholly unnecessary five-year, $125 million extension has barreled toward its place on worst-of lists and by any fair measure positioned itself at the apex. So fare thee well, Mike Hampton and Darren Dreifort, and fear not, Carls Crawford and Pavano. All of the other past qualifiers (Jason Bay, Kei Igawa, Chan Ho Park) can relax for now, and future challengers (Josh Hamilton, Rusney Castillo, anyone getting paid $200 million-plus) know they’ve got a mighty low bar to slum beneath. 1. Ryan Howard sporting a batting average that looks like it belongs to Bartolo Colon, the question is just how much longer Philadelphia bothers not just playing Howard but keeping him on its roster. As the Phillies continue exceeding expectations, the inevitability of a loyalty-vs.-pragmatism dogfight grows likewise, with Howard taking up one of 25 spots increasingly asinine. On the season, Howard is hitting .161/.233/.381. If Howard qualified for the batting title, that would be the lowest batting average since the Deadball Era by 18 points. This is little more than the inevitable end to a five-year stretch in which Howard has hit .227/.295/.419 with 79 home runs and 289 RBIs in nearly 1,900 plate appearances. For the privilege of those plate appearances, Philadelphia will have paid $125 million, including $25 million for his work this season, plus a $10 million buyout so they don’t need to suffer through another season of it. Already, according to Baseball-Reference, Howard over the life of the extension has been worth minus-4 Wins Above Replacement. In other words, theoretically a Triple-A scrub would’ve packed more value than the all-power, low-on-base, bad-glove Howard. FanGraphs’ version of WAR is a bit kinder: minus-2. Which is to say the Phillies have eaten anywhere from $15 million to $30 million more in potential value on top of the $125 million they paid Howard. 2. Prince Fielder to avoid with all his might. Fielder, of course, has been almost as bad as Howard this season, hitting .201/.270/.296. He is swinging at more bad pitches than ever, whiffing more than ever and making Texas’ trade for him look positively ill-fated, no matter how much of his remaining salary the Detroit Tigers are covering after trading him to the Rangers. Beyond this season, four years and $96 million remain on the 32-year-old Fielder’s contract, and unlike the Phillies, Texas harbors aspirations of contention this year, particularly with Yu Darvish’s return this week. The Rangers are not yet at the point of benching Fielder or dumping his contract. At the same time, neither their present nor their future can include a Mendoza-hitting DH, not with Ronald Guzman primed to take over at first base and Joey Gallo tailor-made for DH with an outfield of Nomar Mazara, Lewis Brinson and Shin-Soo Choo, plus Adrian Beltre, Elvis Andrus, Rougned Odor and Jurickson Profar splitting infield time. 3. Giancarlo Stanton doesn’t need to consider quite yet, because he’s still just 26 and still the single most powerful hitter in baseball. This slump in which he’s mired, though. This is just a slump like The Starry Night is just a painting. During a 21-plate appearance stretch last week, Stanton went 0 for 18 with 16 strikeouts, all of them swinging. In that time, he saw 99 pitches. Stanton swung and missed at 32 of them, more than double his career whiff rate. Breaking balls in particular are vexing Stanton, and those late in the count are poison. Of his 16 punchouts, just four came on fastballs. One was a splitter, two curveballs, two changeups and seven sliders, including the final one Sunday from Max Scherzer. It’s not as though Stanton ran through a murderer’s row of pitching outside of Scherzer. Stanton didn’t see a fastball over 96 mph. Jeremy Hellickson got him three times, Tanner Roark, Joe Ross and Jerad Eickhoff twice and a handful of relievers once. Vincent Velasquez, the only strikeout artist of the bunch, nailed Stanton just one time. 4. Adam Wainwright has spent the last month on: Trying to make tiny adjustments and figure out what works for you. Because for a while with Wainwright, it was nothing. His uncharacteristic 5.92 ERA deigned to dip under 6.00 only because he threw 6 2/3 shutout innings against Colorado in his last start – the product, he believes of some tinkering with his arm slot. Wainwright, now 34, lowered it, which was supposed to help him induce more groundballs. While that didn’t happen, the zero runs proved a plenty-good step. 5. Sonny Gray walking a batter every two innings is completely out of character. Gray wasn’t ever exactly Greg Maddux, despite their comparable sizes, but he threw enough strikes to spend his first two full seasons among the American League ERA leaders. Today, Gray’s numbers are some of the worst in baseball, and he hit the DL on Sunday with a strained trapezius that a cortisone shot couldn’t mend. Gray has allowed twice as many home runs as his career average. As Jeff Sullivan wrote, he has ditched one of his two curveballs. And this month in particular, during which Gray has allowed five home runs in 19 2/3 innings, batters are pummeling his fastball (.385 batting average, .692 slugging percentage), sinker (.429/1.000) and changeup (.500/.714) even worse than his curveball. 6. Matt Harvey is about the same: Don’t tinker too much and simply hope the greatness returns. Harvey is what one Mets source called a “mechanical mess”; the fear in the organization is that his concerns about movement patterns have eaten away at the confidence he typically brings to the mound. The result: a demonstrable change in quality of stuff, as noted by Bryce Harper and others, and the Mets considering arson as a potential solution. 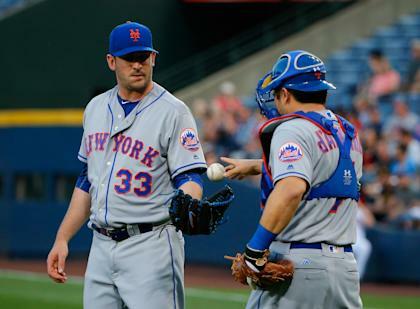 If the Harvey situation truly is at the point where the Mets believed burning everything in his locker was about as good of a solution as sending him to the minor leagues, things might be even worse than a 5.77 ERA and 65 hits in 48 1/3 innings. It’s too early to say how much, if any, of Harvey’s issues relate back to his Tommy John surgery and the Mets pushing him past the 200-inning threshold in his first season back. There wasn’t any precedent for it; there also wasn’t any indication it would have a direct effect on Harvey. It was a risk, one the player and team believed worth taking because it helped get them to the World Series. 7. Erick Aybar” as loudly as possible. Because Aybar, the Atlanta Braves’ 32-year-old shortstop, is currently on pace to post the single worst season for a hitter in the past century. His line: .175/.216/.204. That .420 OPS would shatter the record of .461. Aybar’s OBP would be the worst as would his SLG. Same for his batting average, if not for Ryan Howard. And then to have the indignity of missing a game because he got a chicken bone stuck in his throat. If Aybar weren’t making $8.5 million for this festival of sucktitude, you might feel bad for him. Whether he actually gets to finish the season as the Braves’ starting shortstop is a quite the interesting question. The Braves have adopted the Phillies’ role as the team to beat, literally as well as to the top of the draft board. They do not want to win, and there are few better ways to lose than playing the worst player in history on a daily basis. More than that, the incentive is strong for the Braves to bury their two top shortstop prospects, Ozzie Albies and Dansby Swanson. 8. Russell Martin, the positivity of a feel-good move wears off the moment the player stops playing well. Martin was welcomed to Toronto as a Canadian hero. Now he’s a black hole in the Blue Jays’ lineup. Martin has 21 hits this season – and 20 singles. His lone extra-base hit, a double, came April 22. Last year, Martin slugged .458. This year: .180, or more than 20 points lower than Aybar. Martin’s .172/.237/.180 line barely outrates Aybar, and considering his $82.5 million contract and profile as a four-time All-Star, it might be even worse. 9. Justin Upton has taken up the cause, waving through five meatballs in both April and May. The six-year, $132.75 million contract Upton signed with the Detroit Tigers this offseason is off to as bad a start as possible almost strictly because of Upton’s propensity to strike out. Thirty-seven percent of his plate appearances this season have ended with punchouts. Nobody ever has maintained a rate that bad throughout a full season. Not Chris Carter. Not Mark Reynolds. Not even patron saint Adam Dunn. Particularly egregious is the 30-plus percent strikeout rate and the 5.8 percent walk rate. That’s some Benji Gil stuff there. 10. Ryan Howard, starting first baseman, cleanup hitter. And yet of the 34 times Phillies manager Pete Mackanin has penciled Howard into the starting lineup, 30 of them have come in the No. 4 hole. It’s not Erick Aybar bad, not Prince Fielder bad, not even Justin Upton bad. It’s bad, though, and it’s the culmination of an awful decision six years ago. Like Dunn, the chances of Howard qualifying for the batting title and setting the batting-average futility record are about nil. Maybe the Phillies continue to be seduced by his home runs – he has eight – and ignore that for all the power that exists, it manifests itself too infrequently to make much of a difference. Howard has three home runs in May. In his other 41 at-bats, he has one hit. It is time for a change, especially with the Phillies in such a great position to start winning – winning consistently – soon. When Howard’s contract goes off the books, the Phillies have only one year of Matt Harrison in long-term commitments. They’ve got Velasquez, Eickhoff and Aaron Nola in their rotation, with more arms coming. They’ve got Maikel Franco and the delightful Odubel Herrera already, with J.P. Crawford arriving soon enough. Joseph is ready to thrive after concussions threatened his career and Howard’s cost is sunk worse than the National Corvette Museum. The worst contract is owed a death diametrically opposed to its life: quick and painless, a $125 million Band-Aid ripped off, with Ryan Howard, its beneficiary for what felt like an eternity, left to find whatever remains of his career away from the place he made it.